Being a wedding photographer, I’m obviously a huge romantic at heart. I love it when a couple defies the odds, silences the haters, and trusts their love! 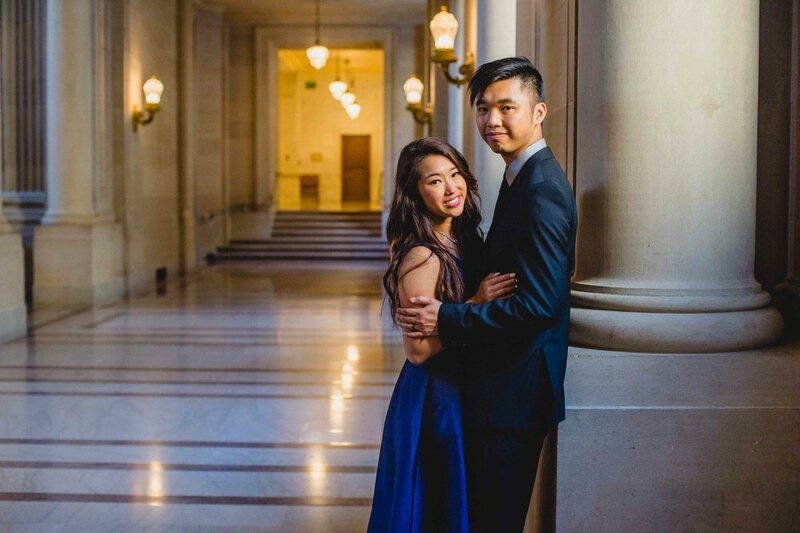 Amy and Gilbert, who spent a day with me in gorgeous San Francisco for their engagement photoshoot, are SO that couple. The adorable duo faced the biggest challenge to a new relationship: the dreaded issue of long distance. They met in Vancouver, over a fateful game of badminton with friends, but Gilbert lived in San Francisco. After a few months and many, many messages, Gilbert flew back to Vancouver and took Amy on their first date - a night hike through Lighthouse Park. Stumbling through the dark, with only their cell phones to light the way, holding hands and laughing, they both knew they’d found something special. For the next two years they defied the stereotypes and made long distance work for them: every three weeks they’d fly to see one another, sometimes meeting on other continents. Gotta love how this couple turned a relationship challenge into a romantic, adventurous opportunity! For their engagement, Gilbert took Amy back to where it all began. On a misty morning in Lighthouse Park, he presented her with a beautiful, heartfelt card that had her crying in seconds, and then got down on one knee to pop the question. Their walk back to the parking lot was every bit as magical as that first date two years prior. 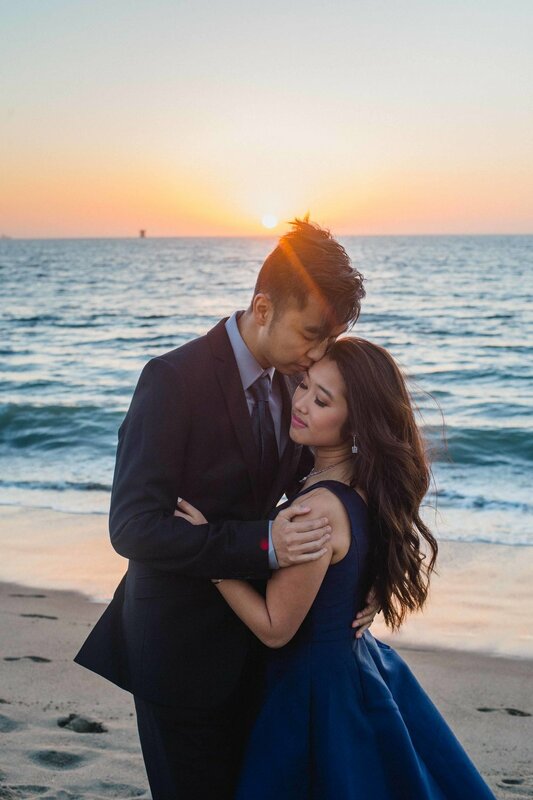 I’m so excited to be their wedding photographer for the big event. 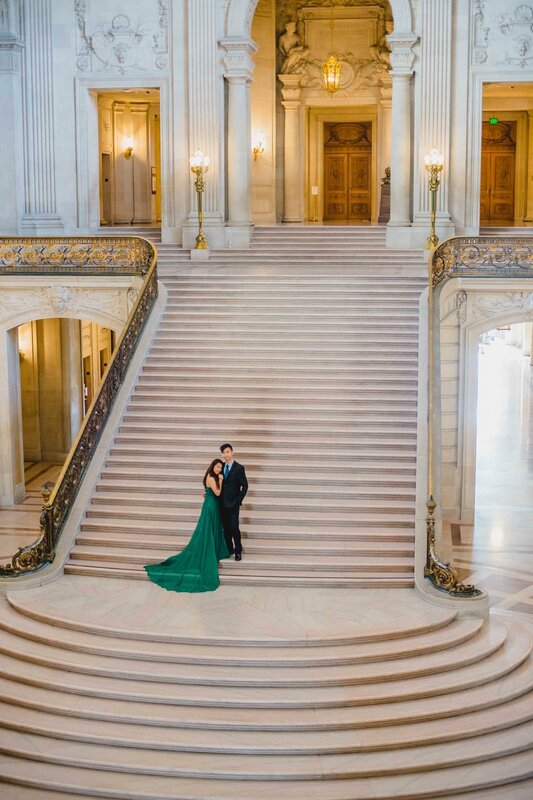 When we sat down to talk, they were both pretty clear: San Francisco needed to be part of the wedding in some way, because it had been Amy’s second home for so long. We decided that an engagement photo shoot in that vibrant, gorgeous city was the perfect compromise. The day we spent together in San Francisco was fantastic, and you can see that romantic, adventurous vibe through all of their photos. The two are so comfortable in one another’s company, it’s easy to understand how the could make anywhere on the planet their home! I can’t wait to see what the wedding photographs have in store! Congrats to Gilbert + Amy.